Slightly blurry pic of a BSA Sloper combo out for a spin. Can't tell the year or model. Looks to be late late twenties or early thirties to me. BSA Sloper combo out for a spin. 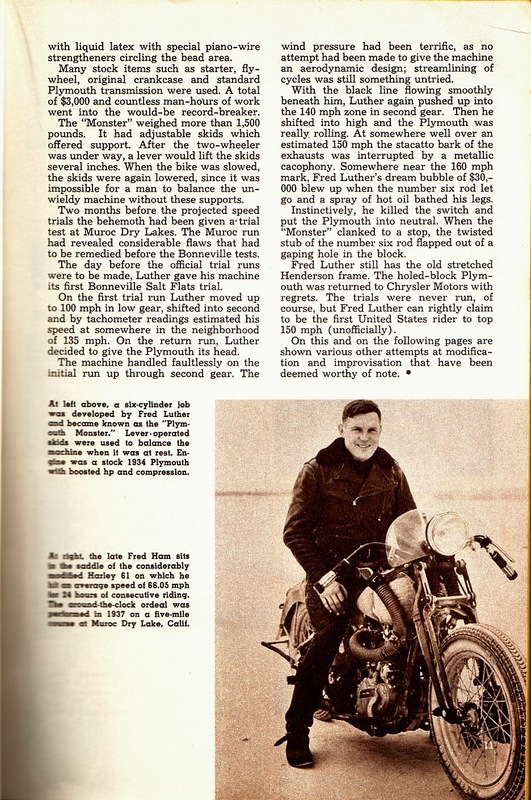 The Plymouth Monster page 1. The Plymouth Monster page 2. The Plymouth Monster on the allpar.com site. The Plymouth Monster on the redline.co.za site. The Plymouth Monster on the geekbobber blog. It's a New Imperial. 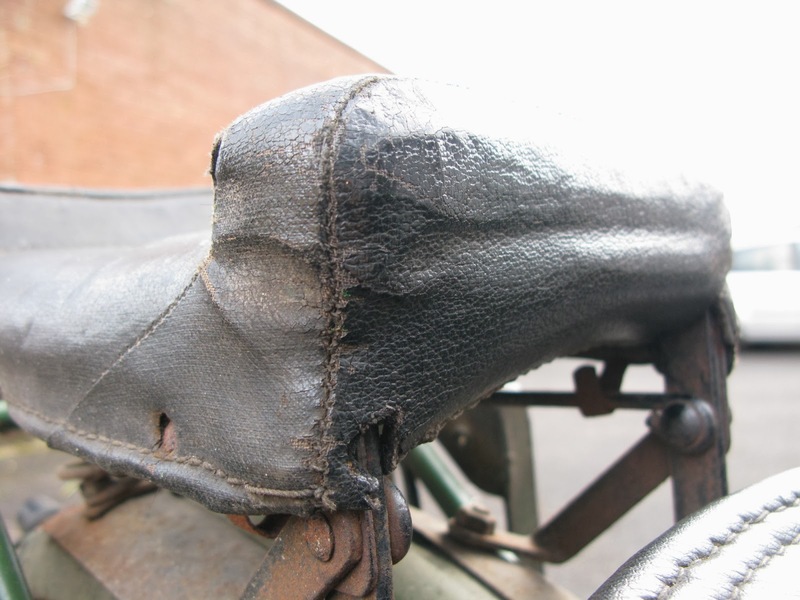 Not so sure of the model though, perhaps a Model 1 or 3 from 1924. 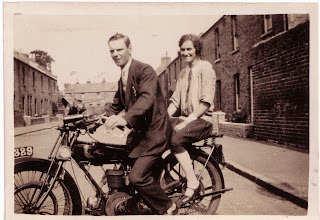 These models were fitted with the JAP 2 3/4hp 292cc side valve engine; the same as fitted to many other bikes and even lawn mowers. Unusually for the day the bike is fitted with electric lighting. 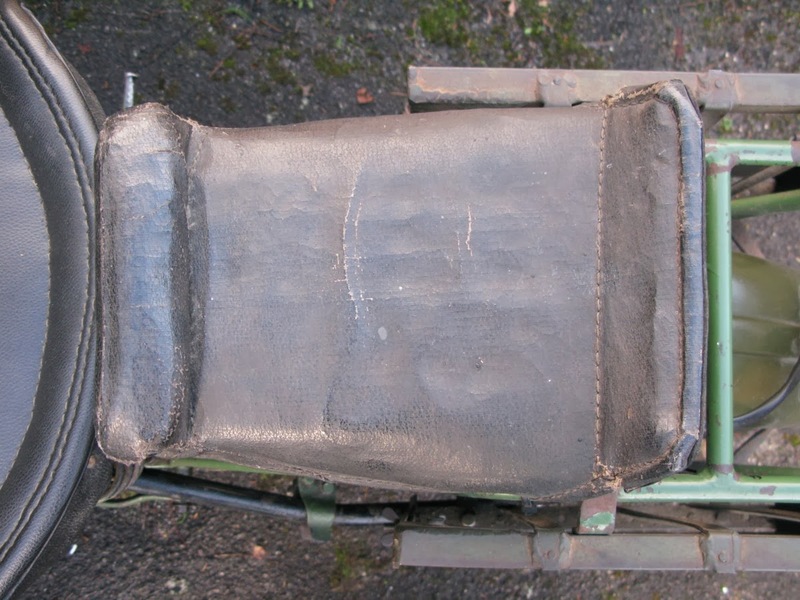 More common, though a rare sight these days, are the legshields. 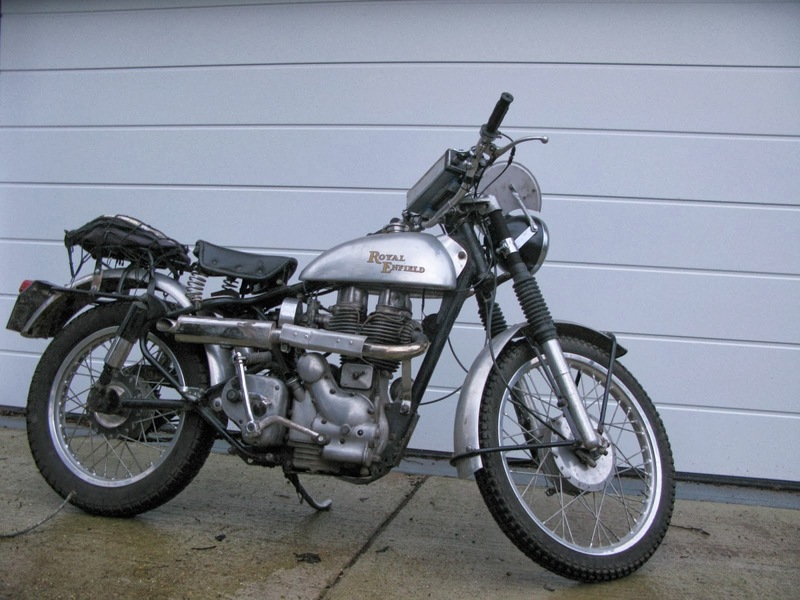 Royal Enfield 350 trials for sale. ﻿ Time for a bit of a clearout. Too many bikes, too many projects and not enough money. If interested in anything contact through email to the right. - A bit scruffy and needing some work. A couple of workshop sessions should have it back on the road. Potentially a solid big powerful pre-war twin port 500. Rebuilt top end, mag and carb. £4500 now or a bit more when I get the time to make it roadworthy again. Barbour International jacket with fur pile liner. Lewis Leather Black Prince jacket. The best ebay listings always have some humour. This one is a peach. Read it! Jawa - 'mutton dressed as pig'. A great animated period photo, there's a bit more fun going on than the usual rigid poses of the time. The bike could just be a Raleigh though I'm really not sure. Can anyone out there identify it? 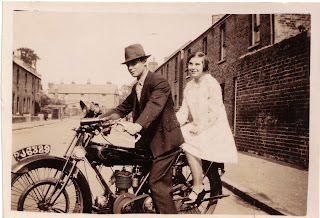 Do you know what this bike is? 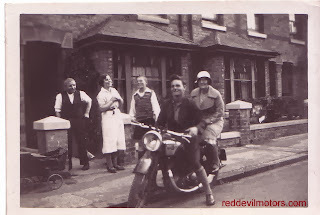 Looks like Sunday best for a photo pose in a working class neighbourhood. Different rider and passenger on each photo, same machine. 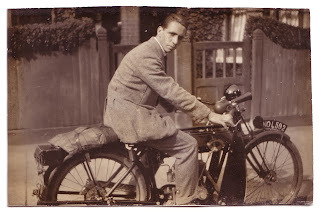 Easily recognisable as a Raleigh, possibly a 1924 2.75hp model. 1924 Raleigh 350cc flat tanker. Over the years I've had a few BMWs. 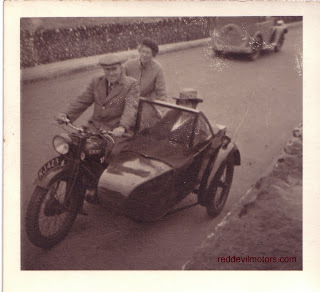 It started off with the R65 with RS fairing that was used as a commuter on a daily 70 mile round trip along motorway. Even at the time it was more than twenty years old but it did the job perfectly and didn't ever miss a beat. The R65 was used for holidays too and it took myself and a mate touring through Spain where it would happily hold 100 two up. 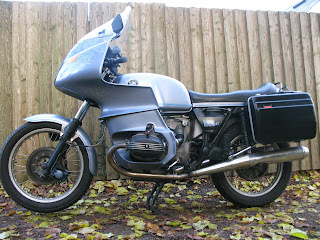 The 65 was replaced by a new generation boxer R1100RS, a fantastic bike. That went when the commute was no more. I was BMW-less for a few years then felt I needed a boxer in my life once more so along came a very nice original 1980 R80. I didn't keep it for long, I passed it on when I found a good R100R. 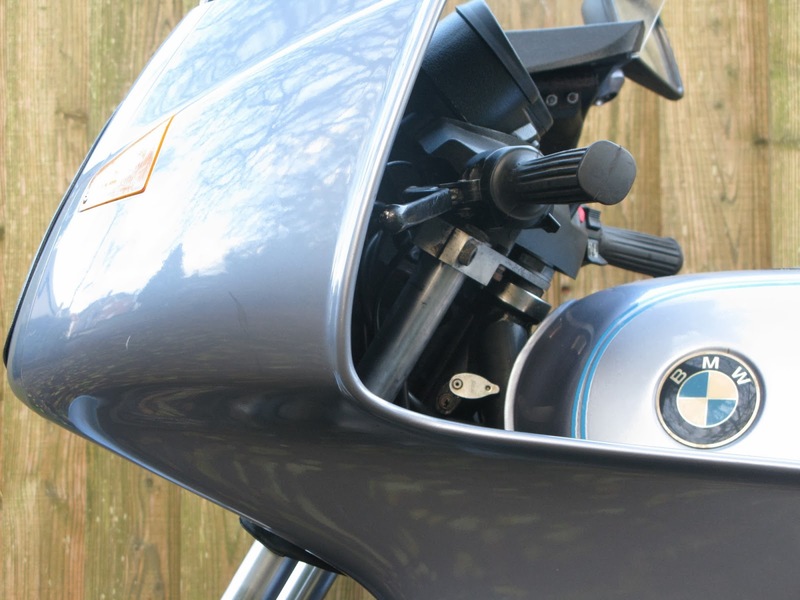 The R100R was a hoot to ride, loads of grunt, brilliant brakes and great acceleration. 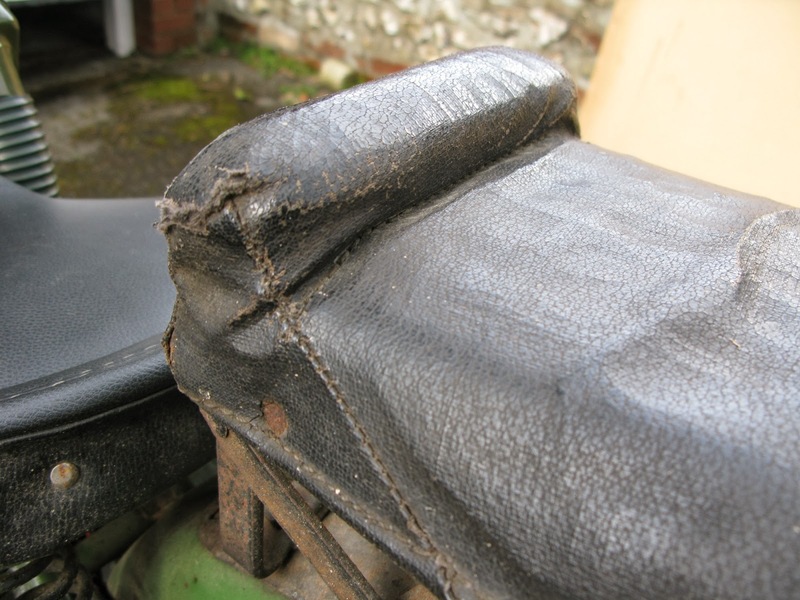 It was however undergeared and lacked a fairing so that was passed on too eventually. 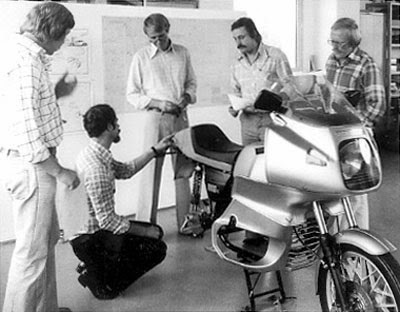 The R100RS design team, chief designer Hans Muth kneeling. After two years without a BMW the yearning started again. This time I knew I wanted a 100RS - the power of the 1000cc motor and the sophistication of the RS fairing. 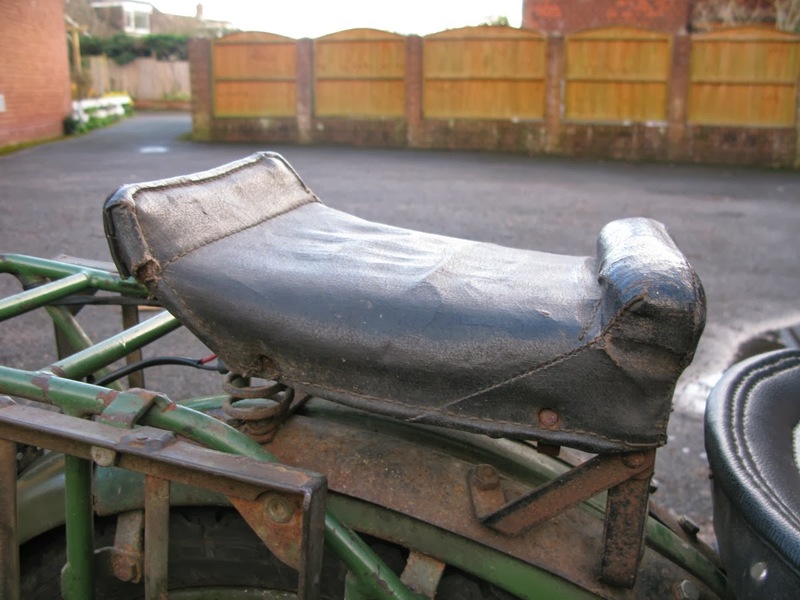 A classic bike that would be reliable and cruise in total comfort at modern speeds. It had to be either a very early one or very late. Early for the character or late for the suspension and brakes. Ian Ogilvy with ST2, 1977 BMW R100RS. I was searching for a while before seeing the one I wanted. The bike looked right and I committed to it unseen, luckily it turned out to be a good bike sold by a top bloke, Paul, on the Isle of Wight. 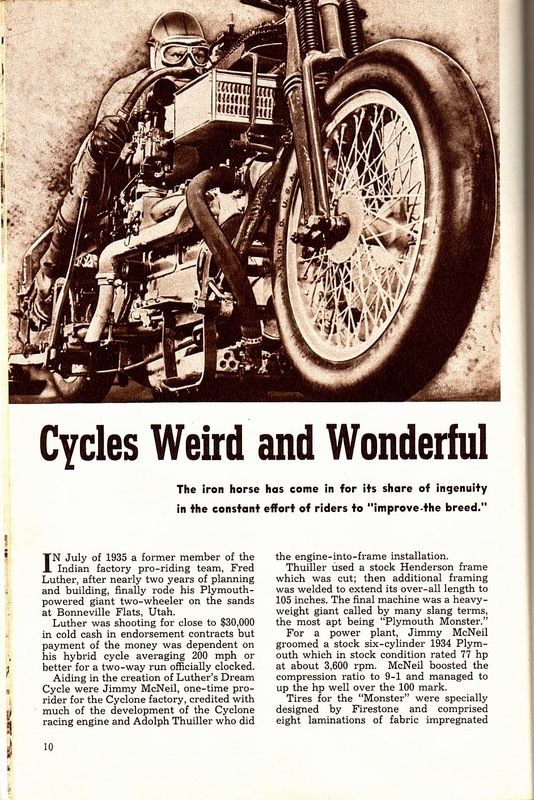 The bike was advertised as 1976. I'd always thought that '77 was the first year but production did indeed begin at the end of '76 and this example is from December. 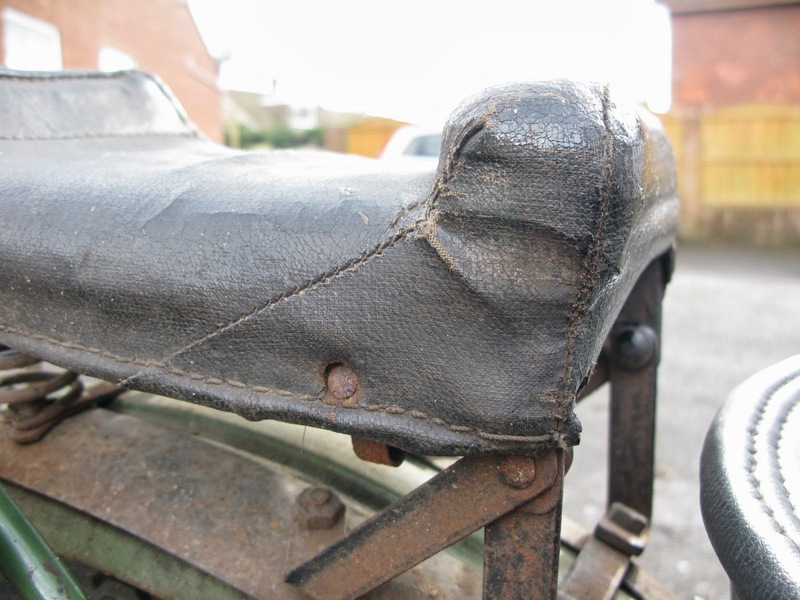 The date was confirmed by the numbers page on Paul Hawksley's excellent BM Bikes site. 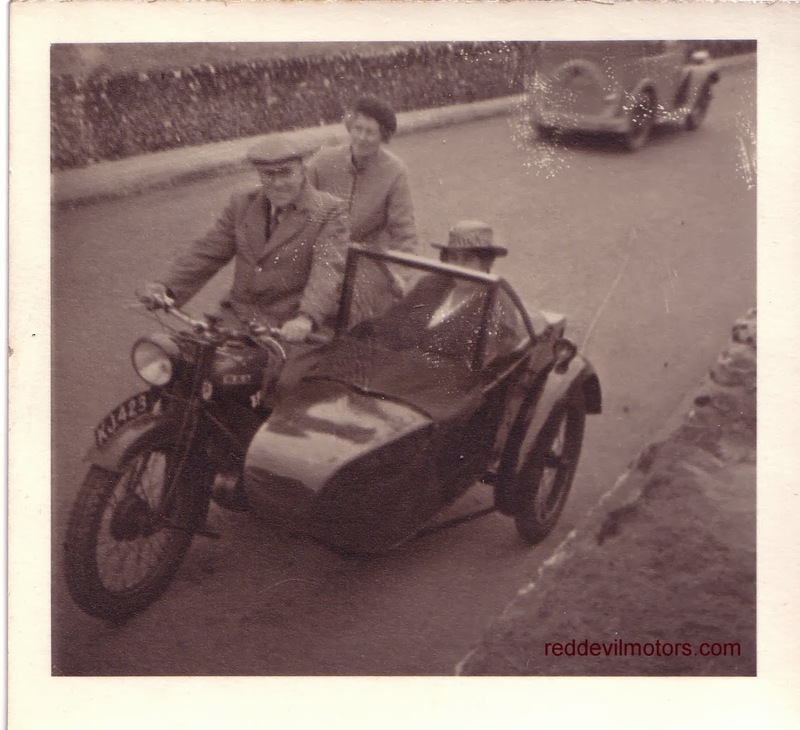 This particular one had spent the first few years of its life in Italy before being imported to the UK, it carries the reg number from the year it was imported. The 1977 model year BMW has a few differences from later models, the wire wheels are the most obvious. 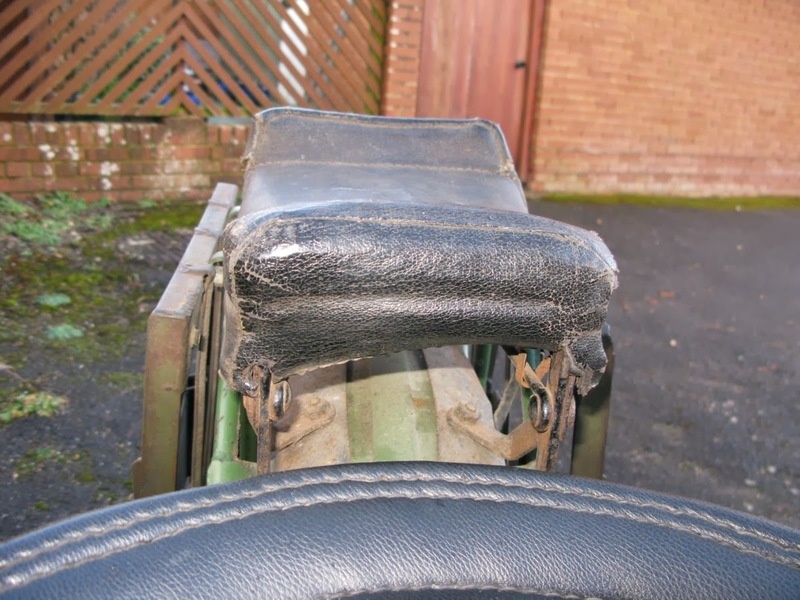 There is also a different, smaller tail light, white letters on the speedo and rev counter and the footrest position is different from later models. 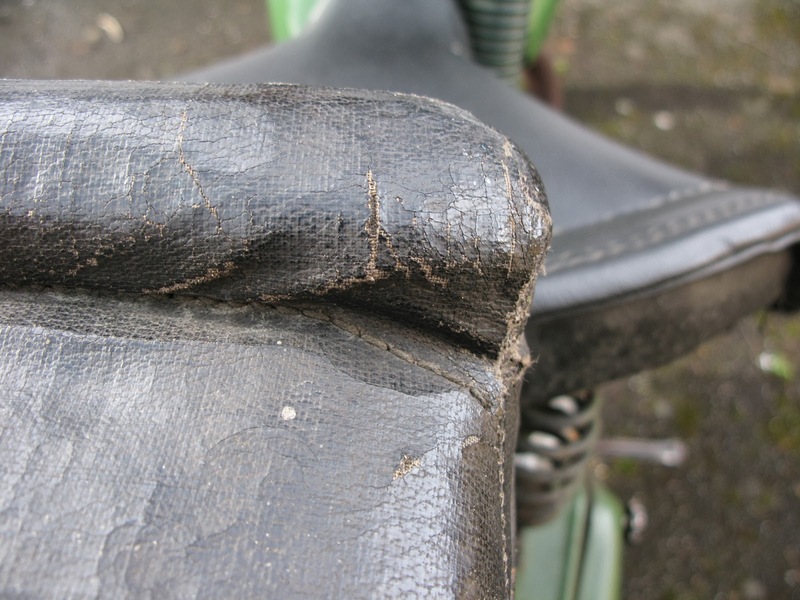 The footrests are different in a bad way for folks with larger feet as the space between toe and carb is very minimal. To my shame the 100RS has not seen great mileage since I bought it some nine months ago. It made a run up to Calne for the bike day and Popham for the Megameet. To and from Popham there was a very major petrol leak, this was traced down to crossed threads on one of the petrol taps. To be honest I decided that the bike needed a full service and I was lacking time and money. Things have moved on now and I'm ready to give the Beemer some attention. 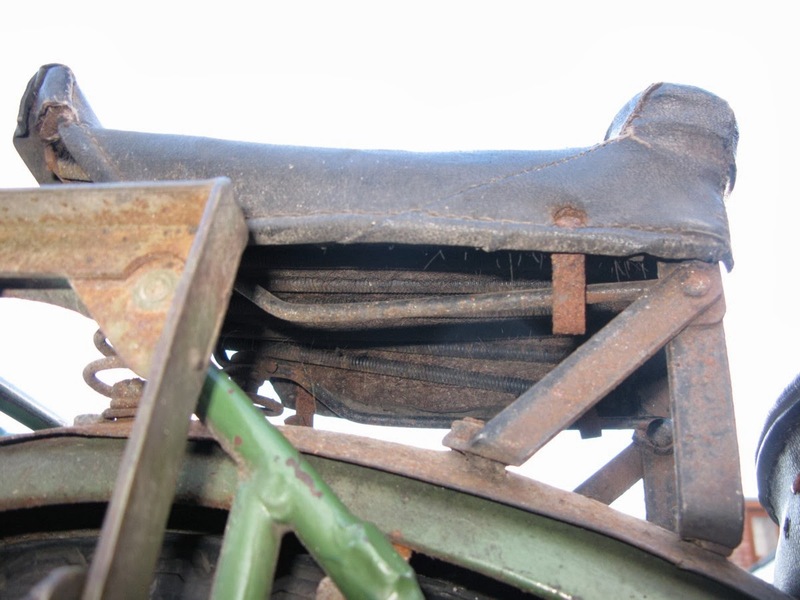 I've sourced a pair of Denfield panniers and racks. They were contemporary to the Krausers and are of similar quality, they're just a subtle difference in appearance which is nice (also nice is that they were a very reasonable price!) As the machine is intended to be a grand tourer I also sourced a rack. The o/e BMW sidestand is a woeful device that is tricky to put down and springs back up as soon as the bike moves. 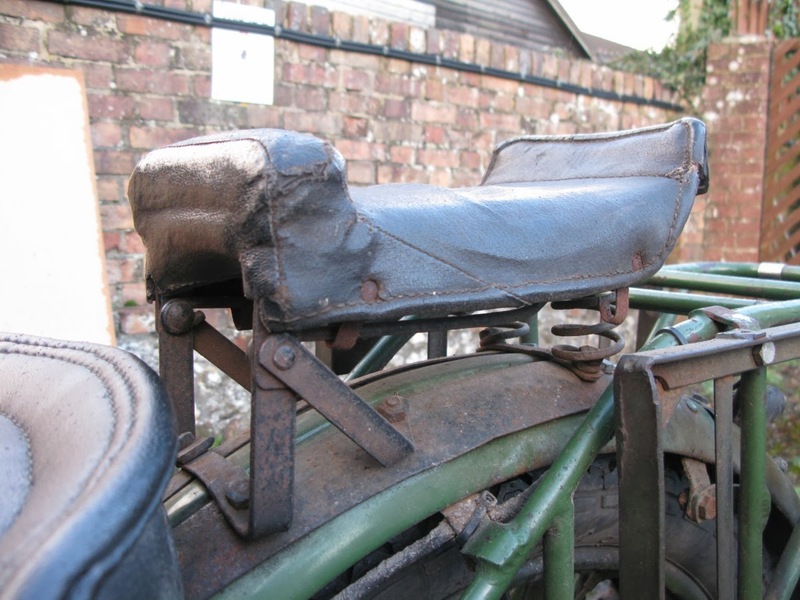 I have been in constant fear of dropping it so have invested in a very excellent 'Surefoot' stand from Motobins. The raised screen will also be going for an original height one, I find the raised one just creates a lot of turbulence and noise right at ear level, but I'm tall, others swear by them. Besides this the o/e screen does look a lot more graceful. 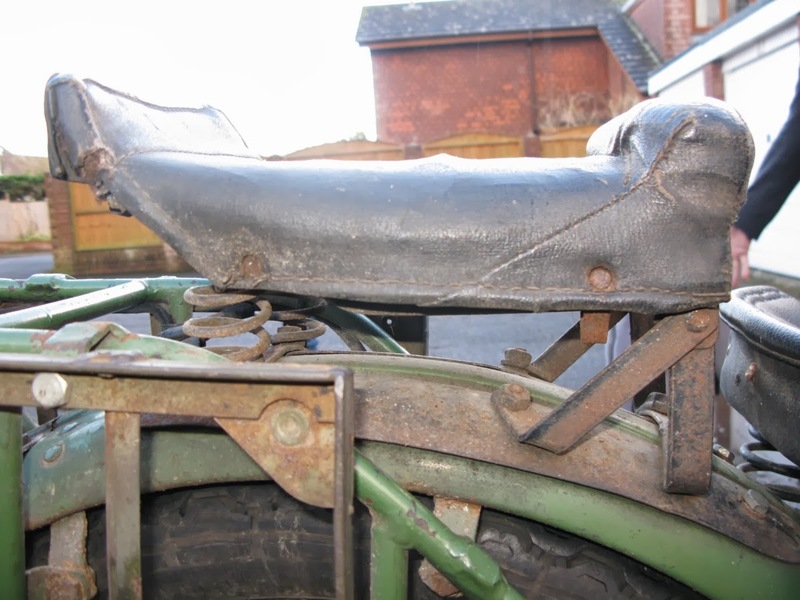 The bike will be off for MOT shortly and is going to get re-registered with an age-related number appropriate for 1976. This is an easy process just requiring insurance, MOT, tax disc and a dating letter. There is no charge. The 100RS is a pleasure out on the road. 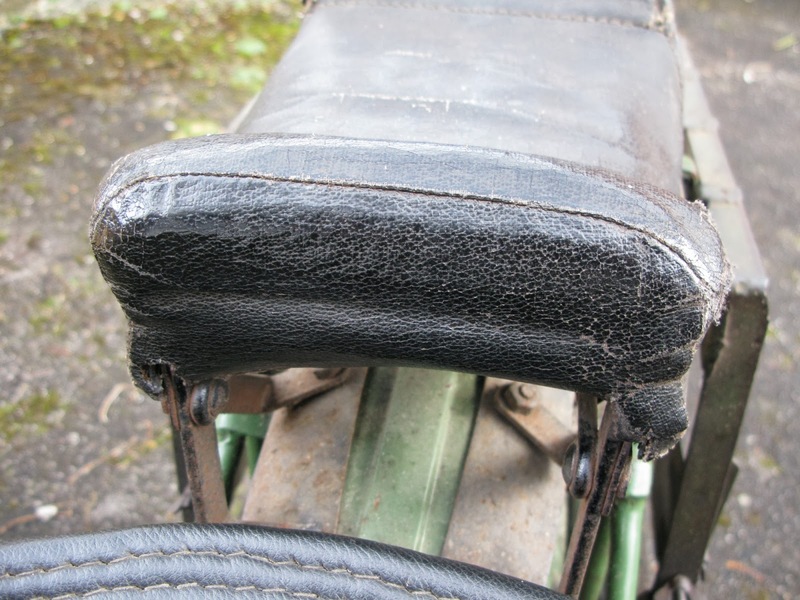 The handling is reasonable and the brakes, whilst fair for the era, are fairly feeble for the performance of the bike. 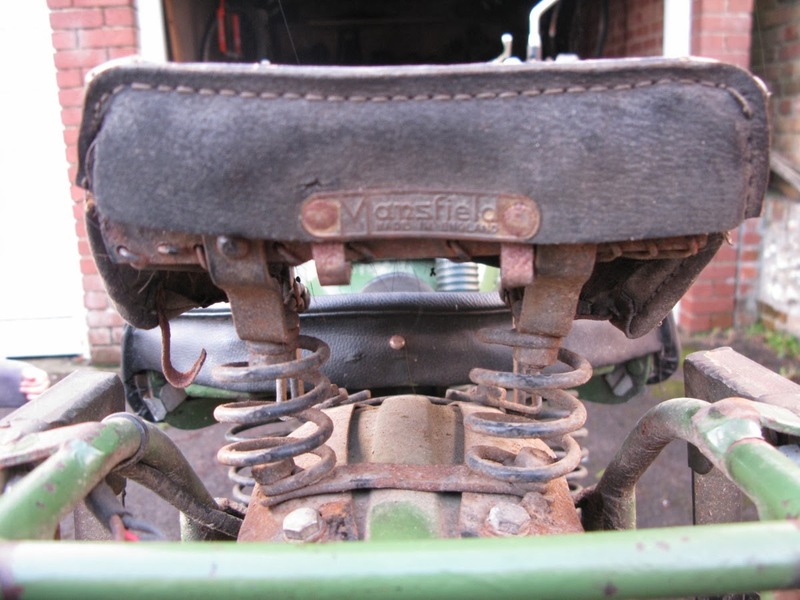 You can cover distance very quickly in a nice gentlemanly style, the brakes encourage giving good space, the handling lends itself to smooth riding. Overall a very satisfying level of planning and thought goes in to riding the bike. There is no problem keeping up with far more recent bikes and no classic can cover distance in reliability and comfort in the same way. Back in the day the R100RS was billed as a jetsetters bike. The perfect machine for a weekend in Monte Carlo carrying your tux in the panniers.I'm hoping to get out and about on it this summer and a blast down to the med to prove the point is on the cards as is a ride to the Stella Alpina in Italy. 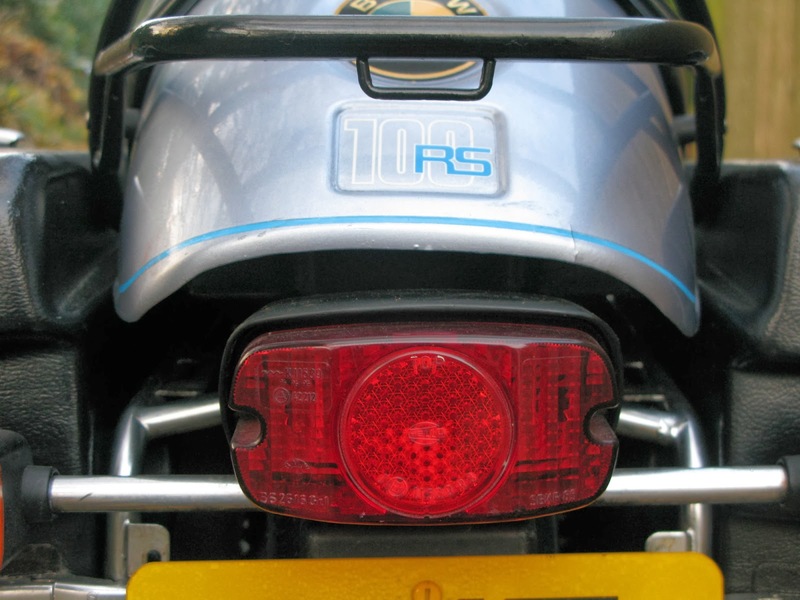 For me the R100RS is the classic bike of the seventies, I remember playing with the Britains toy version as a child. The BMW offered an unrivalled quality and performance was up there with the best. 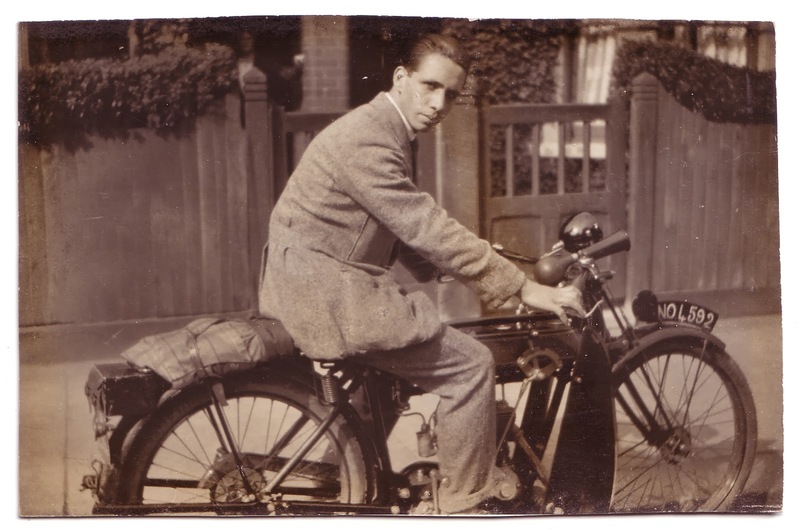 The wind tunnel designed fairing was nothing short of revolutionary and the bike formed the genesis of every sports tourer made today. Plus the 100RS is still available at bargain prices, less than half what you might pay for a Norton Commando and try and tell me honestly that the Commando is a better machine! Surivival rates for the Beemers are high due to their quality and longevity. The current trend for bratting and caffing them is hacking in to the numbers of decent original ones about so buy now and enjoy one whilst you can. I know nothing about this pair of pictures and would love to know more. 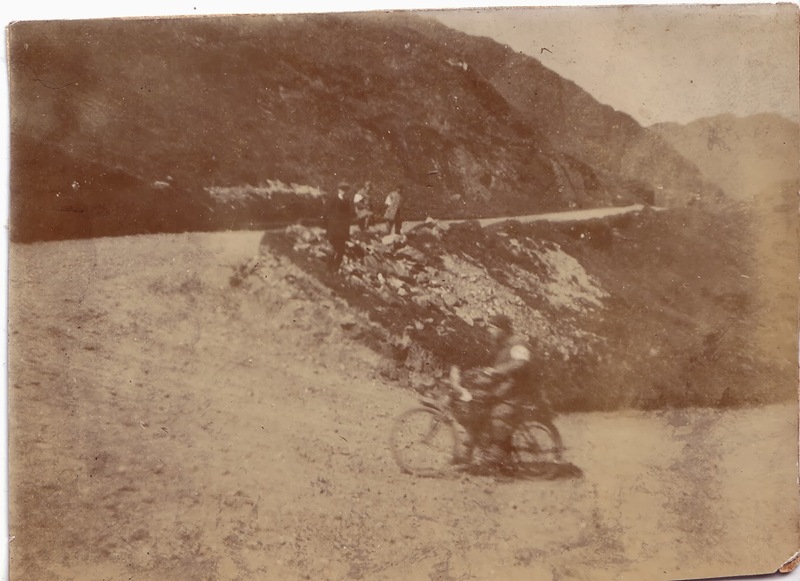 Looks like a long distance trial from the veteran era possibly a MCC one or it could be the Scottish Six Days. My only guess as to the machine would be that it is a Motosacoche. Seems like he's adding slightly more than light pedal assistance to aid his machine up the hill. 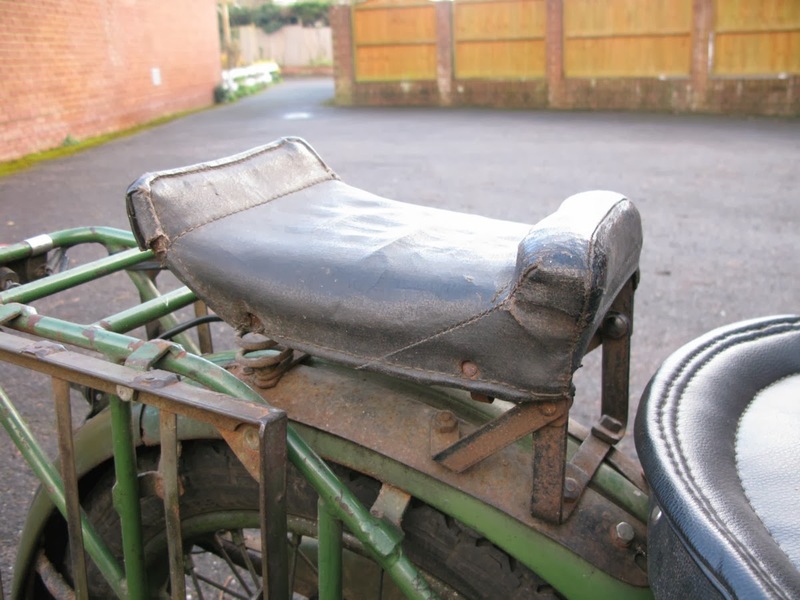 There's an interesting article about Motosacoche on Andrew Pattle's moped archive. 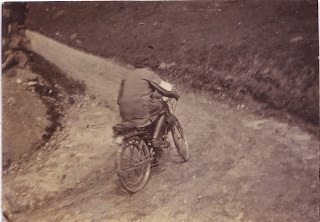 Veteran era Motosacoche riding a long distance trial. 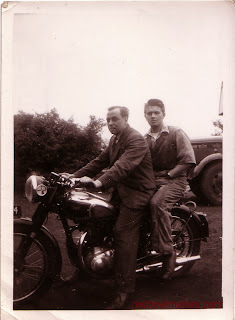 These two likely lads have gotten themselves a nice shiny new BSA A7 rigid.